I was recently tagged by the lovely Francine from The Graduate Goddess to do the Top Ten Tag so here I am getting it done! I love tags like these which are makeup based because let's face it, beauty chatting is one of my favourite things to do! Now enough rambling I'll get on with the tag! This one is a toughie because I've got a good few foundations that I'm currently using and whilst I enjoy them all for different reasons I still haven't found that holy grail foundation, the one that will suit my skin to perfection. 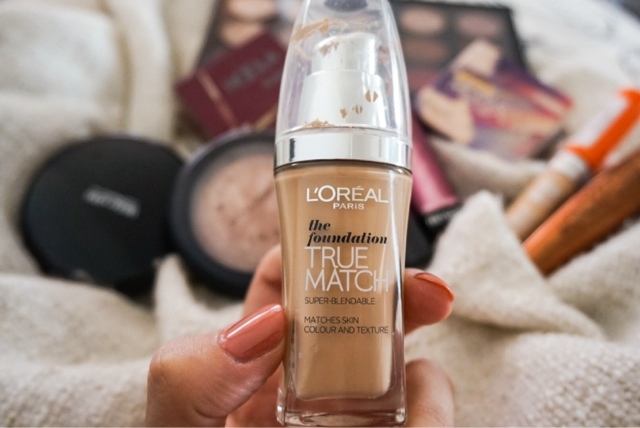 But for now I'm going to pick the L'Oreal True Match because it's got good coverage and it's affordable. My favourite way of applying this is with a damp beauty blender as it blends into the skin beautifully this way. Again I have the same problem with concelear, I have tried my fair share but haven't come across one that won't sink into my fine lines in the slightest whist managing to cover these deep dark circles of mine. 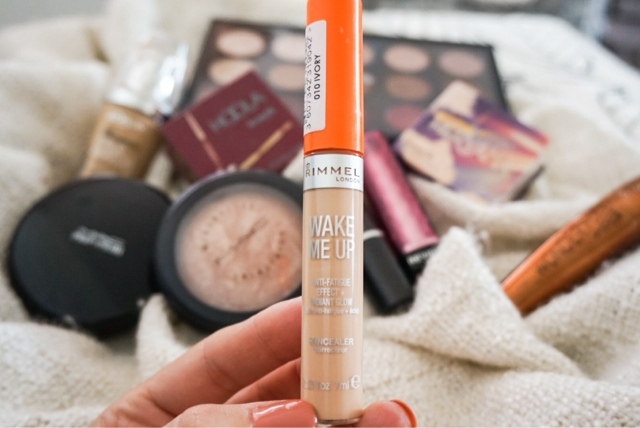 One that I am enjoying using at the moment is the Rimmel Wake Me Up Concelear because it feels light on the skin and does a good job at brightening out the eye area. This is terrible because once again I haven't managed to find an amazing powder (feeling like a useless beauty blogger right now but it's true). 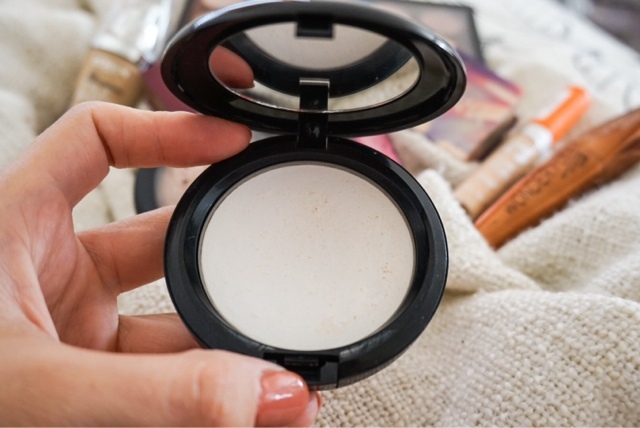 I have a few powders laying around but none of them are amazing, more like mediocre as they don't keep the shine at bay for too long or end up looking cakey. The one that I tend to reach for the most is the MAC Prep + Prime Transparent Finishing Powder because it feels really light on my face and it has no colour so it doesn't get cakey. If any of you have any great powder suggestion please let me know in the comments below. 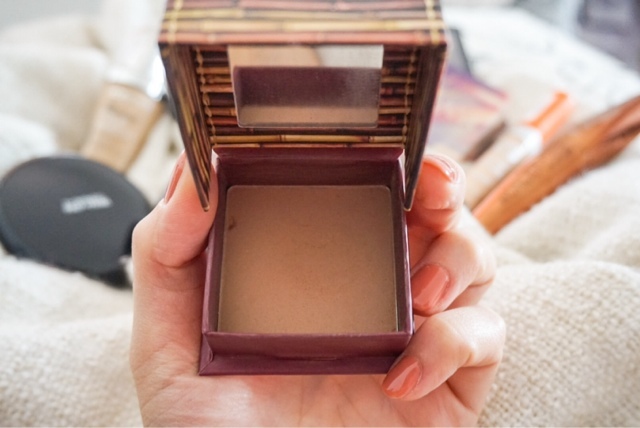 I'm a blush lover for sure and have got many on the go at one time, but my all time favourites have got to be the Benefit Box O' Powder Blushes. At the moment in using the shade Hervana, but I've had many of their shades in the past and they're all gorgeous! This is one product I never skip in my makeup routine no matter what, even if I'm rushing I will still take the time to apply this. Benefit have done it again here with Hoola being my favourite go to bronzer, it's got great pigment and suits my skin tone perfectly! I've been using it for ages now and I still haven't hit pan yet, as a little product goes a long way so definitely one I would recommend! 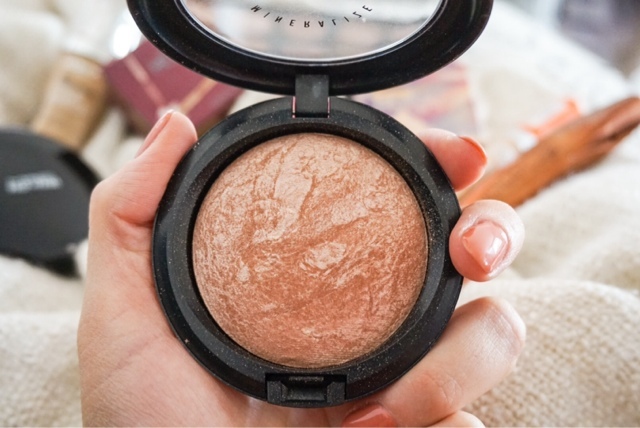 Who doesn't love a good highlighter, not me anyway, as it's definetly a must have product. MAC Soft & Gentle is my favourite and I've got a good few highlighters, but this one is just beautiful. I could apply it all day long, no seriously I'm not even joking but I actually have to stop myself from over applying or else I end up looking like a disco ball, which is not necessarily the look I like to go for. Again a little bit goes a long way so I know I will get a lot of use of of it. With my mascara I change my mind all the time depending on what I'm using and how good the product is. 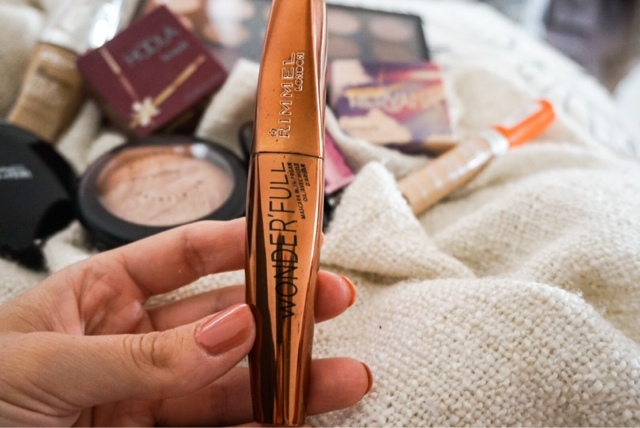 I have been left impressed with Rimmel's new offering, the Wonder'full Mascara and it's definitely my favourite at the moment. It's light and feels moisturising on the lashes which I've never experienced with any other mascaras before. It might not be your voluminous mascara for that full on night time look but for a natural, daytime look it's perfect. 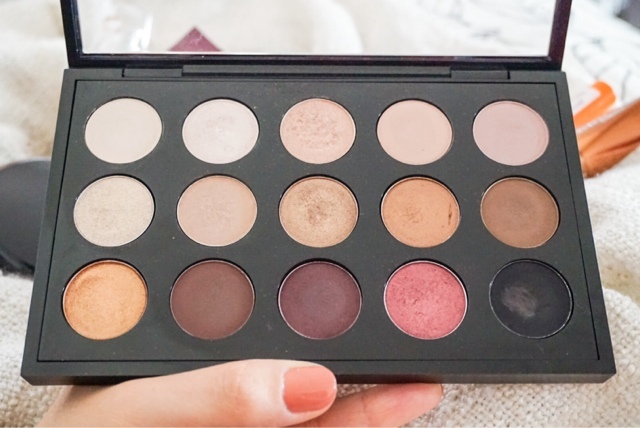 This is a no brainer because no matter how many eyeshadows or palettes I purchase, they just don't compare to my gorgeous MAC Customised Palette. It has all the shades I need and more, whilst they feel soft & buttery with great pigmentation and longevity. I'm not gonna ramble too much because I have a full post on it here if you want to read more on it. My current brow routine is really not working for me at all, I'm using two shades (mixed together) from my mac palette but I just don't find that it does much for my brows. So I am currently on the hunt for a great brow product preferably not a powder as I've tried them before in Sleek or Benefit and I'm just not a big fan. If you've got any suggestions I'd love to hear them from you. Lipsticks are quickly becoming a staple in my makeup routine and I just couldn't pick one only. 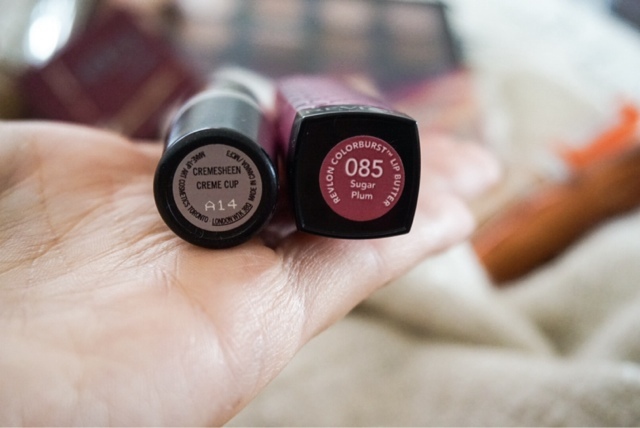 At the moment I am loving the Revlon ColorBurst Lip Butter in Plum Sugar as it's a great sheer berry colour which in my opinion is the perfect transitional lip shade from summer to autumn. It's also moisturising which my lips are loving! I also had to include my one MAC lipstick in Creme Cup because let's face it we all have at least one in our stash and they are just gorgeous. Not to mention addictive, I am already planning on getting more, yes Rebel I have my eyes on you next. Looking forward to reading all about your favourite products ladies. Rimmel is a go-to for mascara! Lovely post. 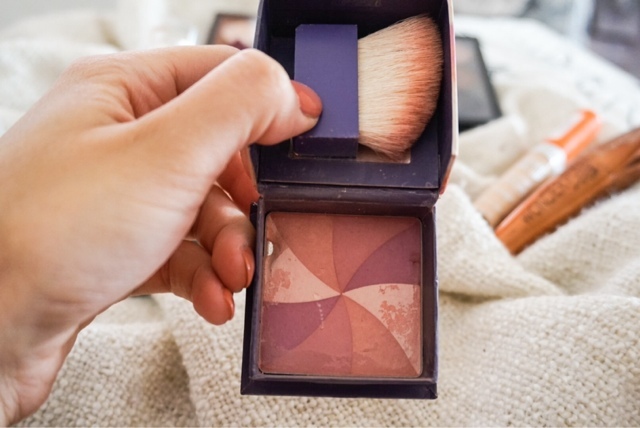 I get enormous use from Hervana, I think it's a great blush! LOVE this post! Hoola is my favourite. I so agree with your top ten! Great picks. 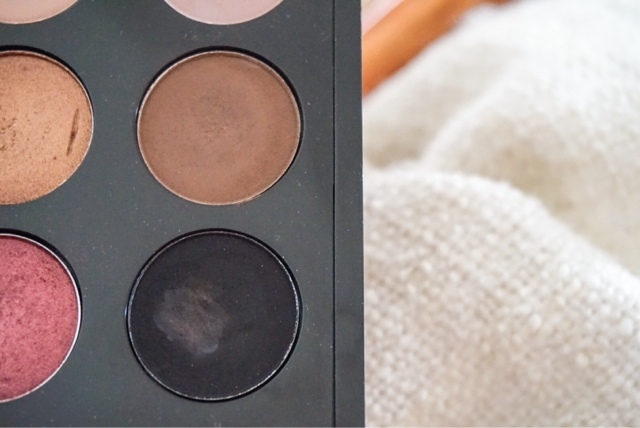 Great post - I really like MAC's Blot Powder. I love your eyeshadow palatte - those are some awesome shades! Love seeing your picks hehe! I think I'll have to choose my MAC as my highlighter too. Ohh this is gona be so hard lmao! I want to try Creme Cup now. Sounds lovely. 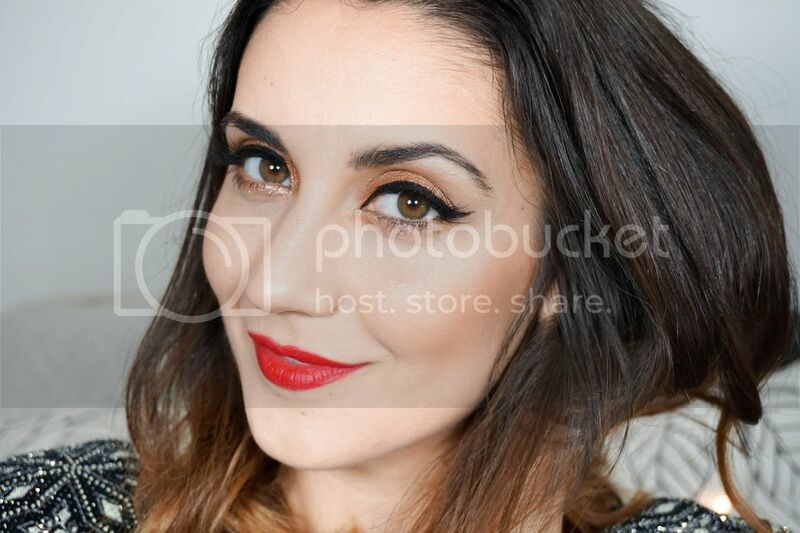 Great post - I always love to see what types of makeup other people use. The palate from Mac looks dreamy!!! I really want to try that new Rimmel mascara, but I really don't like the colour of the packaging for some reason! These sort of posts are always so interesting. You have a lovely collection going on there! 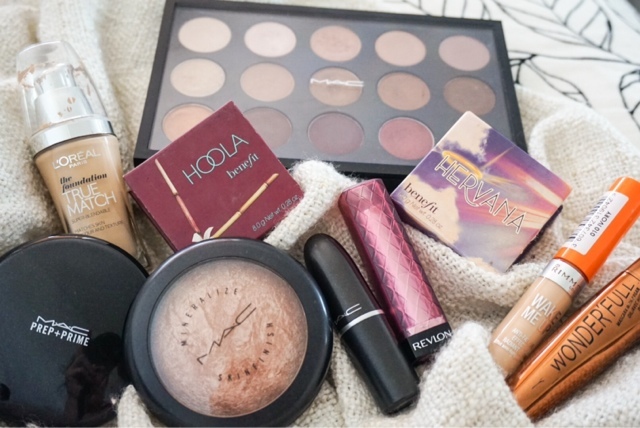 I'm having a little product giveaway over on my blog if you are interested in having a look!